Biomimicry is all about designing sustainable products that have been inspired by nature. Students are challenged to create a new and unique product that has been inspired by something in nature, use SketchUp to create a 3D rendering, and create a physical copy with a 3D printer. After watching a TED talk and discussing what biomimicry is all about, students are asked to design their own product inspired by nature. They sketch out scale models of their design, then use 3D design software SketchUp to create a 3 dimensional figure. Once the figure is solid, we can run it through our Makerbot Replicator 3D printer. 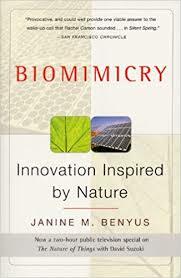 Throughout the unit, the class will read excerpts from this book by Janine Benyus, a pioneer in the field of biomimicry. I can analyze how biomimicry is used in past, present and future design by researching and using credible sources and compiling my ideas into a properly formatted outline. I can write a research paper using compound and complex sentences with smooth transitions between paragraphs and ideas. I can write a research paper using proper grammar, conventions, spelling, and formatting. I can demonstrate understanding of a biologically inspired topic by describing how and why a product was inspired by nature and discussing its sustainability. I can use SketchUp to create a unique, ready-to-print 3D design influenced by biomimicry. I can create and maintain a design journal that thoroughly documents engineering process. 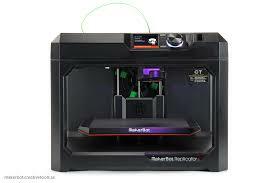 I can print a 3D prototype of design, document and implement modifications, and print final copy. I can discuss non-fiction literature ‘beyond the text’, with students facilitators, focusing on predictions, inference, characterizations, themes, point of view, figurative language and interpretation. 9. I can document my learning of biomimicry by placing an artifact of an event in this unit and writing a well thought-out and thorough reflection answering all prompts on my portfolio website.